Tweet Progressive Rock icons Yes are back with a brand new album “Heaven and Earth.” I haven’t had my whole life to sit on this album like I have “Fragile” and “Close to the Edge,” but I did enjoy what I heard. Only time will tell if these songs stand the test of time. As a guitar player I was always irritated when I’d look at the best rock guitarist of all time lists and see that Steve Howe either wasn’t on them or barely cracked the top 100. Steve Howe is a guitar God in my opinion and not enough people understand that. I grew up with the music of Yes, my dad literally played the music to me while I was in the womb. Yes is one of the best bands of all time and recently I got the chance to chat with one of my heroes, Mr. Steve Howe. Bob Zerull (BZ): Congratulations on the release of “Heaven and Earth,” you’re able to tour off all of the Yes albums and hits of the past, but how important is it as an artist to keep making new music? Steve Howe (SH): To me new music is really vital, really important. I’ve got a life line via my music. What groups anticipate through new albums is a more complex issue. 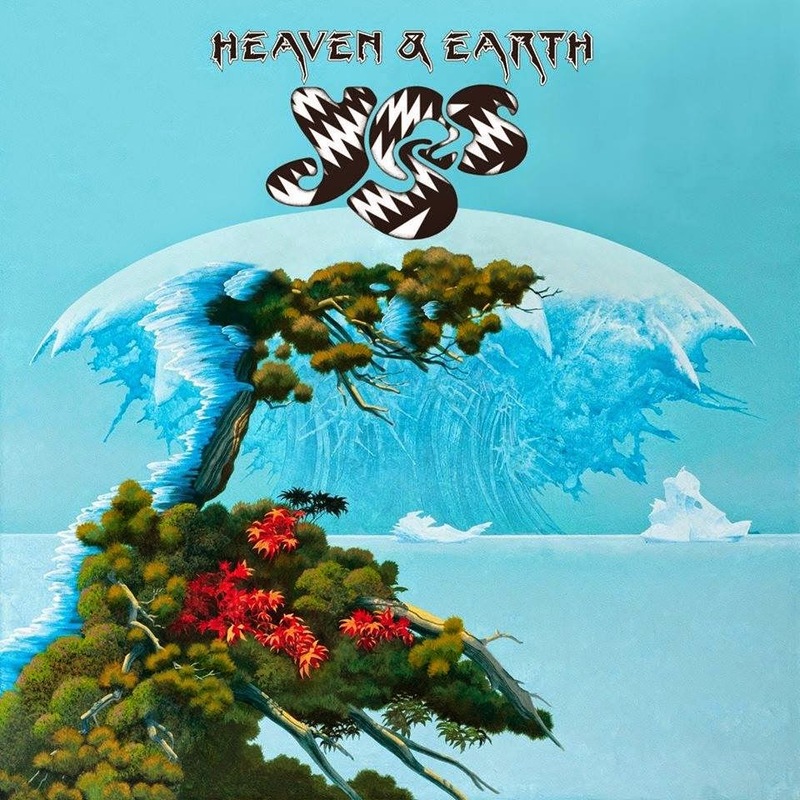 If you’ve got a following like Yes has you know they like one, three, ten of our albums, to get them to go as deeply into “Heaven and Earth” as they did “Close to the Edge” might take twenty or thirty years. There is a reaction you have to anticipate. After all The Rolling Stones, Aerosmith, The Who, you keep naming big bands who keep releasing albums and they only have so much impact. I’m more realistic about it. I’m quite pleased with the way “Heaven and Earth” is being received. BZ: At this point in your career and in the music industry in general how do you gauge the success of an album? SH: That’s pretty complex. That’s a really hard question because I don’t know that I do judge it, I don’t anticipate. We’re lucky to get the chance to do things. I don’t know how to answer that question, you’ve got me there. How do you read it? Things have changed so much that you can get free music and some idiot put our music up straight away for free and it is irritating. You use to judge it by sales or what the press said, but some of our albums the press hated and they’re some of our best work. We got use to it, but it never stopped the albums from being loved. That’s why the question is complex and I like complex question. You can’t judge it by one poll, it’s all the polls together, the reaction, the live reaction, the reviews, the online feedback. Take online feedback, one person loves us the next day somebody absolutely hates us, it’s a fickle world. How do you judge it? I don’t think there is an answer to that. BZ: I talked with Chris Squire when “Fly From Here” came out and he said it was the first album that Yes has done where everybody in the band at the time was happy with every song on the album. Do you feel the same way with “Heaven and Earth?” Was it kind of the same reaction within the band? SH: To a degree. I don’t know if Chris was schmoozing you a bit there. Let’s put it this way, there are degrees of happiness. With “Fly From Here” once we got over making it which was more of the problem than finishing it. It was different with “Heaven and Earth” in that it was easier making it and harder finishing it. In a way we came to accept whats there and all got on board. I’d say Chris is fairly accurate in saying that. I can say fairly accurately through different circumstances, I think we are more resigned, same with “Fly From Here.” When we made our wonderful albums like “Fragile” or “Close to the Edge” goodness knows we also went through turmoil, musical struggle, but the fact that we all sat in the mix room. In a way that completion was a marvelous creative device. Starting in the 80’s that was scuffled. People came in and said we’ll mix the album for you or we’ll mix the album later. There were different ways and I’m not saying it to be mean or that it was unfair but it’s a change. I don’t know if we’ll ever be as happy with the records we make now as the records we made in the seventies just because we saw them through till the end. Atlantic didn’t question what we delivered because they loved what we did, it was a marvelous time. BZ: How does the band write? I get how bands like Aerosmith and The Rolling Stones write because it’s a fairly standard template. With bands like Yes, Dream Theater and Rush. Do you just sit in a room and jam them out, do you write separately? SH: There’s not one, there are many. if it doesn’t change its stagnant. Basically there were a lot of songs floating about, some of them were in a bad state and needed finishing. What Jon did was scuffle around and join each person individually because four people don’t really sit in a room and write together, maybe on “Fly From Here” were wrote some lyrics like that, but mostly you’ve got something you wrote yourself, you submit it to the band they say I don’t like this part but I like this part. You shift it around and luckily Jon and I got through two songs without any collaboration. The other songs we’re collaborated. Ideally if time allows it’d be great to sit in a room with Jon Davison and start from scratch like Jon Anderson and I did. We didn’t really have time for that and we haven’t gotten that close yet. That is a very intimate thing, it’s lovely but it’s not the way a lot of records are made anymore. BZ: Currently you’re out the road, this tour and the last tour you are playing a few albums in their entirety and you’ve seen a lot of bands do that recently. Is that exciting, challenging, an excuse to play something you might not have played before? SH: I take some credit for this. Imagine how much style it’ll give us, instead of playing a song from here and a song from here, it’s like a mixed bad of fruit. Why don’t give them the whole plant. We’re not the first to do it, but what we did was…I said lets do two albums and the manager said if you did three that would really feel like a whole evening and you wouldn’t have to mess around playing other songs. That’s brilliant. When we did the three albums there was so much continuity. I wanted to play them in album order and track order so that it reflected the development of our music. That didn’t work for everybody so we didn’t get to do that and I can see that. Ideally chronologically by era would be a fantastic idea. You can listen to the band develop musically and ending with “Awaken” would have been fantastic because it’s a very highly developed more intellectual tune, maybe even more so than “Prepetual Change.” Both are quite complicated in their own ways. I love the three album idea, I love the album idea. I think its a lot more adventurous when you know you’re going to play a whole album. It’s refreshing. I like that aspect of it and it makes our music look good. This tour is slightly different, we’re doing two albums and a collection of other songs. BZ: I’ve talked with Jon Anderson several times in the past and he’s mentioned that he doesn’t really have the interest in extended tours anymore. How long do you guys thing you can keep going? SH: I think there is an incredible determination much like there is with the London Symphony Orchestra. We have an Orchestra mentality, the show goes on, we carry on. It did carry on. If anybody couldn’t carry on we’d replace them. We have a destiny, we’re going to keep trying to do that for as long as its reasonably possible or enjoyable. There will always be naysayers that don’t want it without this person. I didn’t really want it to carry on without Bill Bruford. People have to live with their own visions of when Yes is. The only judgement that we allow ourselves is that microscope. I think Yes audiences have very high standards and I think we need to rise to those standards and not just troll along. I like to live in a slightly more realistic world where we are only as good as our last show. We’re only credible as the performances we bring. Sometimes the group veers off a little bit for me, but people might not notice it because we’re enjoying ourselves, our members are having a great time running around like rock stars. As far as I’m concerned this is a more serious musical group. We don’t need any bling, glam or too much posing. There is a balance you have to keep. Without a balance the group could all end up performing like Styx and doing cartwheels across the stage. I think our music is more serious, sometimes more somber or beautiful. Anything like that would destroy the sentiment of our music. How long do we go on? As long as we’re good? I don’t want to go on when we’re not good. BZ: Could you ever see Yes continuing on with all new members, with guys that weren’t in Yes before? SH: (Laughs) I sort of can. I know it sounds improbable. Jon Davison is the youngest member of Yes, if we were to all faulted or lose our way or not want to do it anymore then someone like Jon could cleverly create another lineup. I think it’s nice to be in Yes but I don’t think this is the only permutation that might exist. There could be that sort of permutation where Yes is NOT licensed out to a bunch of youths, but developed to transform itself into another age. I don’t know that a band has ever done that. You could say that Foreigner has done it by nobody being in the original band (laughs). I think what you’re talking about development and maintaining the musical flow. It’s surprising but you’ve come up with some really cool questions. I like having to think, what I don’t like is just banter. You stood me up and got me thinking. BZ: I’ve got one last question before I let you go. You’re one of the greatest guitar players of all time and you’re never on the lists with Hendrix and Jimmy Page and all these guys you could probably play circles around. Who are you listening to now a days, guitar playing wise? SH: There’s two parts to that question. The first part is that I still listen to the people who originally inspired me and that was Chet Atkins, Wes Montgomery and all the post Charlie Christian and including Charlie Christian jazz guitarists. I was well into the jazz guitarists as much as I like some rock players too, particularly Jimmy Bryant who played with Speedy West. They’re some cool guys in my old pocket. My new pocket developed in the 80’s when Steve Morse came along and then I met the great Martin Taylor, Scottish Jazz Player. Since then I’ve meant so many wonderful guitarists. I’ve heard so many wonderful players in all the genres, but I don’t like the word genre very much. All the styles are so rich. The conversation would go another half an hour longer. A young guitarist names Flavio Sala. What’s cool about Flavio, he’s got the whole classical repertoire under his belt and he’s only 30. Can you imagine? It thrills me so much to help, play and enjoy Flavio. We recorded a track together and haven’t released it yet, but basically he’s moving from that classical into another style. The thing that’s kept me going is singularly Chet Atkins. He was a multi style guitarist. I’d never heard anybody do that, it was either blues or jazz or classical. Everybody was in their own world. Chet said I don’t need that, I just want to play everything and I latched onto that I think that’s why Chet is my biggest inspiration.